Mars is having the authority on the Scorpio zodiac sign which comes in the zodiac belt from 210 degrees to 240 degrees also known as the natural eighth house in the zodiac belt. We know that the Scorpio zodiac is one of the fixed signs; known for the hidden and secret knowledge. Being one of the water signs, Scorpio are known to be emotional. As a Scorpio, you may feel the intense energy within you, which works like the driving force to do things in an extraordinary way, but that should be in silent mode. Have you ever heard the gurgling sound made by the Scorpio in between the dry grass or in a deep hole in the earth, but whenever the light hits them they never move and lay static like a dead body. Simialr thing happens to the Scorpio Moon Sign people; they do not want to be in the limelight while giving their best. But you get amazed when getting the tag like dangerous and destructive being under the Scorpio Moon sign. You have all the quality whatever the Mars requires on the battlefield, but the uniqueness of the Mars varies from individual to individual. 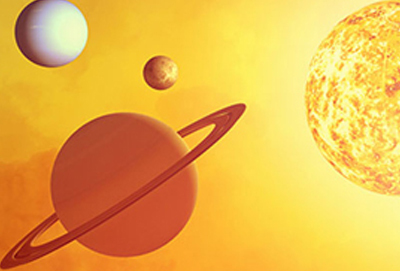 It all depends in which Nakshatra the Moon is residing in the zodiac sign; mars being the Lord of Scorpio, controls the energy so that you may be able to act according to the given circumstances. Now the question comes in the mind is that what kind of personality does a Scorpion have in the real life? Being in the fixed Moon sign as Scorpio, your decision-making ability is firmly determined but that may be harmful to you and for your bright future as well. 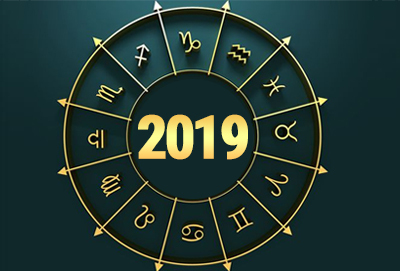 But if you have the Moon in Scorpio in the Vishakha Nakshatra, the scenario will change and nobody will be as good as you are in taking the right decisions at the right time with flexibility, depending upon the given situations. 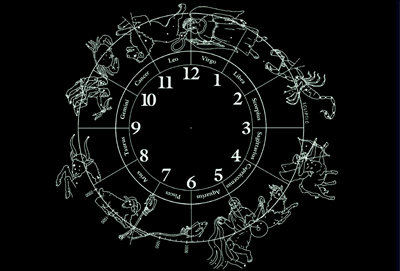 Being the Scorpio Moon in the Vishakha, you are well connected to the other realms of the world, which is related to back end work or the work related to servicing the hardware. The Mars plays three different roles based on the Spirit bird and Animal related to the Nakshatras where Moon is placed in the Scorpio that signifies the divine energy within us i.e. the behavior, strength and mistakes we do in our life. Scorpio Moon Sign in Vishakha Nakshatra: Mars as a connector to another realm. Spirit bird: "Sparrow" The symbol of unconditional love and devotion which guides the native to have faith during the worst times in life and through that love and faith, new and eventful journey will start. Animal symbol: "A Male Tiger" Tiger has the ability to swim across the river to hunt and is an agile swimmer. Native-born as the Scorpio Moon in Vishakha Nakshatra is courageous enough to leave their comfort zone behind in order to achieve success in life. Have you ever imagined the great Commander-In-Chief at your home teaching you how to do the business so as to get benefits from the ancestral property? Scorpio, Moon in the Vishakha Nakshatra, shows the strong mind like the Commander-In-Chief who can guide you on how to get a foreign connection in business. This will give you the advanced knowledge in research related to microcosmos, programming language, a specialist in the virus related research to various diseases. Getting a higher degree will be good for your career. If you want to be a good businessman, then doing the wholesale business or back end work will be a profitable business for you. Having the Vishakha Moon in Scorpio gives you the most generous life partner and there are good chances that you will meet your life partner during your higher education or you will meet them at a foreign place. Your life partner will play the role of a mentor in life and you will financially benefit by his/her presence in your life. Adhi Devta is the energy source of any Nakshatra through which the real personality of any zodiac sign with a particular Moon sign will come and give the well-developed personality to the native. For Scorpio Moon sign in Vishakha Nakshatra, the energy source by which the Mars is getting the motivation to work is Agni and Indra together who grants a courageous personality to the native with qualities like the one who never fails in his project and transforms the life in an amazing way. Even in tough time, the native will has the tremendous energy to overcome hardship like a hero in the war. 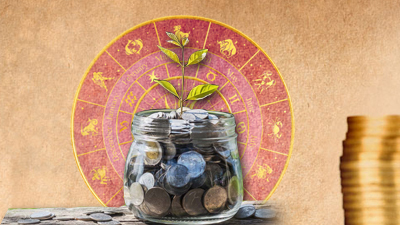 A career which requires the use of speech such as TV, Radio broadcasts, Politicians, Astrologer, immigration work or Tourist Guide will come in the Vishakha Nakshatra in the Scorpio Moon sign. Scorpio Moon Sign in Anuradha Nakshatra: Mars as a friend who has lots of ifs and buts. Spirit bird: "Nightingale" The Nightingale is a bird who is known for melodious voice which attracts our heart and is known as secretive bird that spends most of its time in thick bushes. Native born in this constellation always like to be in their home, Freelancer job is good option for them. Animal Symbol: "Female Deer" Having the ability to jump high and good swimming skills signifies taking care of the livelihood. Moon in Scorpio in Anuradha will give the courage to the native to make sacrifices for their friends. Here the Mars behaves like friend to all, the commander-in-chief who tries hard to avoid war; you can call yourself as a ‘Shanti Doot’ (Ambassador of peace among the neighbors). Native as Scorpio Moon sign in Anuradha Nakshatra have lots of friends and mingle with all age groups. Due to the Karmic deeds, the native has to learn how valuable it is to keep the faith in others, especially in love and romance. These native will get failure because of their possessiveness for their partners and would want all their attention and time. This makes the relationship suffocating fort their partners and hence breakup is common for them. If you are having Moon sign in Scorpio in the Anuradha Nakshatra, you need to be outgoing in the matter of love and relationship and give some breathing space to your partner. Scorpio Moon as Anuradha Nakshatra the native will get the energy from the MITRA God who is the Adhi Devta for this constellation who grants the real persona how these natives present them in front of society. MITRA is one of the Aditya who gives the light at the time of dawn, the one who converts or connects the two different phases of life. The native who has Moon in Scorpio in Anuradha can have a good career in consultancy firm or business related to the same. A career in the bookbinding or publishing the book will also be good for these natives. Scorpio Moon Sign in Jyestha Nakshatra: Mars as a king, who learn from his own mistakes. Spirit Bird: "Brahmani Duck" This is the spirit bird for you as a Scorpio Moon sign in Jyestha Nakshatra, Duck can fly, walk and swim; this signifies the spiritual and subconscious ability to handle the challenge and get success in material life. Animal: "A male Deer" Animal signifies the behavior, strength, and mistakes we do in our life. Male deer grow new antlers each year, which signifies a crown, in a modern way to say that the position or post you get in your career, Scorpio Moon in Jyestha should learn this lesson to hone the new skills each time in life to get success in life, if there is an affliction in this constellation, there will be many unstable changes in your career. If the King gets trapped with the inferiority complex and is always scared of losing the war, then the whole kingdom collapses. If you are Scorpio Moon sign in Jyestha Nakshatra, this is the mantra in order to achieve success for you i.e. ; not to get afraid from other’s intelligence and power and never to get trapped into the inferiority complex by seeing the success and wealth of others. Indra is the King of God and a warrior, but due to his foolishness and uncontrolled desire he always fell into trouble and lost of his Kingdom. He is the Adhi Devta, the energy source through which the Mars works and gives you the personality to make mistakes and learn from them in order to get back to your throne. 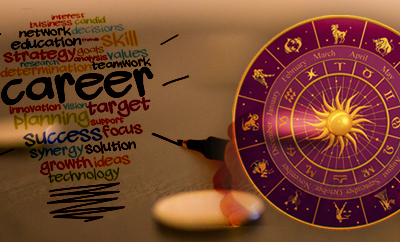 If you have a Scorpio Moon sign in Jyestha constellation, you will get higher rank in your workplace, but if you don’t respect others and especially elders/seniors; then you may have to face losses especially in your business, demotion in career, uncontrolled desire also gave them trouble in life. So, your zodiac sign will be your ultimate map for your life guiding you to take the right decisions or choices at the right time. Make the most of it.